Being a college student is fun and challenging all at the same time. It is fun because the experience will allow you to meet new people who may become your best friends for life. There is even a high possibility that you will meet the love of your life in college. However, college years can also pose some danger. Without proper guidance, you may end up feeling lost during the entire process. Aside from this, college is also the time of your life when there will be several doubts and uncertainties as well as temptations. Whenever you feel like you’re losing your relationship with God in the process of completing your college degree, try to do what college teaches and study the Word of God more. Your schedule can be busy and stressful. That’s why we’ve put together this list of the 3 best devotionals for college students for you. Each college student has a different set of struggles and obstacles. The author, Rick Christian, understands that facing these challenges is difficult to do especially when there are several new kinds of temptations available. The One-Year Alive Devotional contains a daily set of guides that will remind students to focus on the good. This is perfect for students who only have limited time to spend reading other materials than their normal studies. These Christian devotions are short and easy to relate to. Some of the issues that are addressed by this devotional include being new to college, surviving the journey and remaining Christian in trying times. View current pricing on Amazon. This devotional for college students includes a series of readings that are designed for one semester. It contains biblical truth that aims to help students grow in their chosen course. Each devotion is divided into four sections that focus on the importance of keeping one’s faith during his first semester of college. This is one of the best devotionals for college students as it serves in reminding them of the importance of finding God first before anything else. What makes it even more relatable is that the author, Sam Darr, was a college student when he published it. View current pricing on Amazon. Some of the common things that college students experience are the new environments, unlimited opportunities, personal fears, stressors, and anxieties. The author of this devotional understands the struggle too, which was the primary reason he created Fearless Faith. He wants to remind everyone that people can always draw strength from God, especially at times of misfortunes and heartbreaks. With this reading, students will start to realize that college may be a stressful journey, but it can be surpassed with a proper foundation in God. View current pricing on Amazon. For all the times of uncertainties and doubts, the first thing that you need to do is to offer a prayer to God. Learn how to appreciate all the right things and blessings that have come your way. No matter what, don’t let hardships pull you away from loving God. 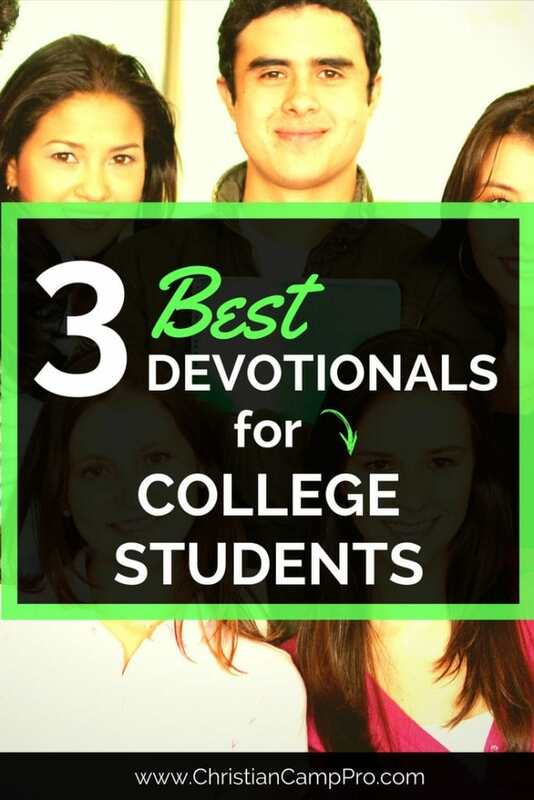 Most importantly, choose one of these best devotionals for college students and make it a daily habit to read God’s Word. See out the beautiful promise that Jesus Christ offers. Remember that you can survive college both academically and morally when keeping your eyes on Him.